1,200,000th Hit Gift From Laine! 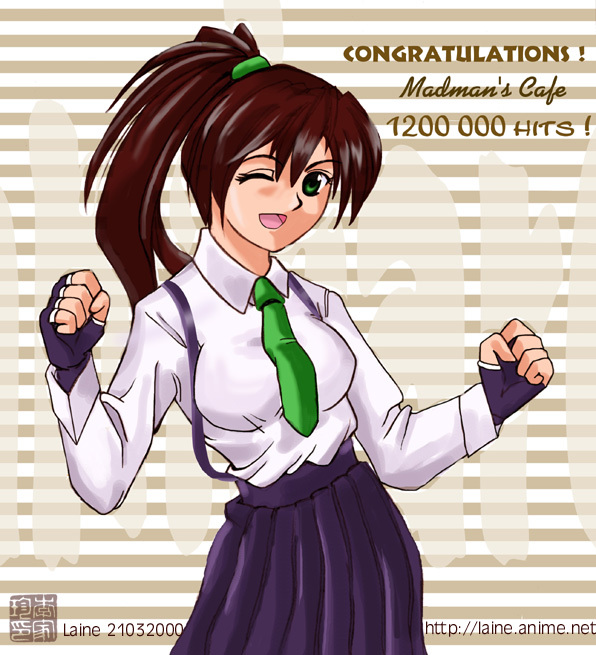 Thanks to Lainey, a cute artwork of the new mascot character for the Madman's Cafe- "Dita", is back!!! Thanks a Million and 20K, Laine!!! For more Cute and humorous artworks (and a lot of Kenshin), take a bite out of Tasty Graphite at Laine's site! !